The National Weather Service has confirmed an EF-1 tornado damaged buildings and homes and brought down hundreds of trees in the area of Mount Airy, Maryland, Friday night. Photos showed damage to the roof of a shopping center that houses a T.J. Maxx and Home Goods at 1001 Twin Arch Road in Mount Airy. 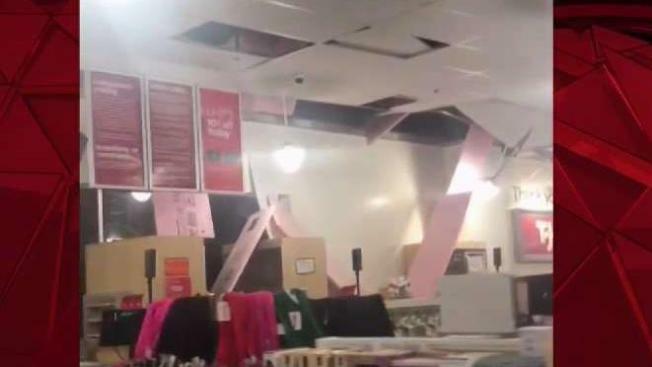 One video posted to social media shows water coming into the T.J. Maxx through holes in the ceiling. On Saturday, the weather service confirmed a tornado caused the damage. Another EF-1 tornado that struck a section of Baltimore and Baltimore County proved deadly. Two men died when a wall collapsed at an Amazon warehouse.